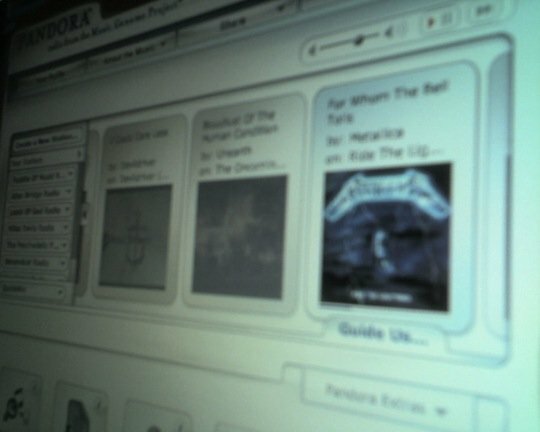 Talk about stepping over dollars to pick up pennies… after more than doubling the fees required by Internet radio, many companies such as Pandora may be instantly put out of business. Simply seems like another example of a shortsighted effort to squeeze revenue from the wrong sources. Then again, should we really be surprised that SoundExchange, which distributes statutory royalties to copyright owners and performers and began as a branch of the RIAA, states that "Internet radio stations have done too little to make money from playing their songs." We’re approaching a pull-the-plug kind of decision," said Tim Westergren, who founded Pandora. "This is like a last stand for webcasting. I’ve been flooded with questions surrounding this. seize the opportunity that awaits. enough mind to read this post word-for-word. the “average” achiever doesn’t like to do! and focused time to read my new post? Come Join Me in the mix. get what we think about the most. feeling that create completely opposite results. The CD is selling for $11.99 but can be yours for $8.99 by replying to this ad. If you need to earn more, then the Morgan CFA Level 2 Kaplan is the suggested way to passing certification test.